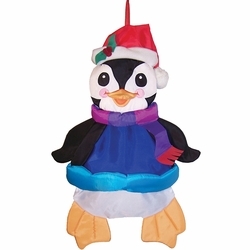 The Holiday Penguin 3D Wind Friends are cute holiday products for outdoor decor. The windsock shape is enhanced with stuffing in just the right places to create a 3D effect with a distinct front, back and side view. 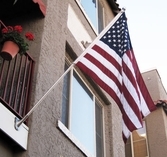 Measures 15" W x 30" H x 15" D.